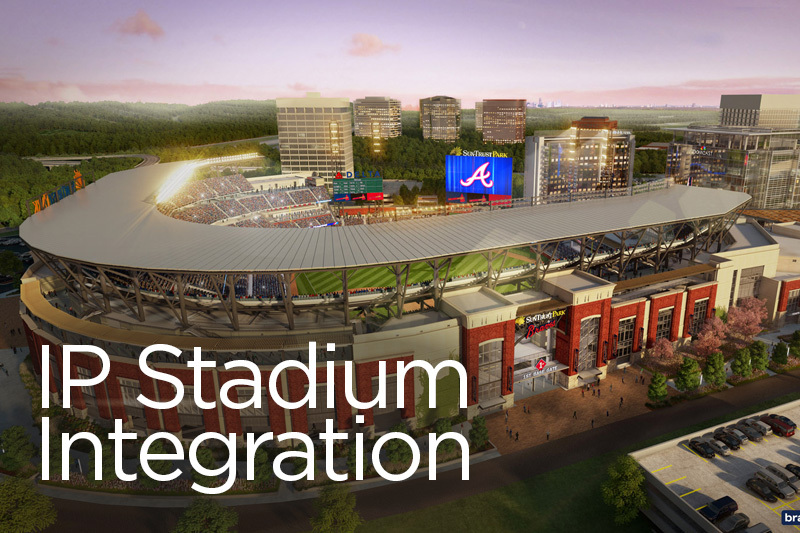 Alpha Video worked with the Atlanta Braves to help integrate hybrid IP workflow solutions at SunTrust Park. "To implement their creative vision, the Braves turned to Alpha Video for assistance with vendor and equipment selection. The Braves deliberated going all-in on IP and eventually decided on a hybrid approach. The team, with the help of Alpha Video, chose a Grass Valley hybrid router that can serve the current need to deliver 1080p/60 video throughout the stadium with the option to upgrade in the future as IP-based technologies become more commonplace."